You’ve just bought your dream home in the great State of Rhode Island. It has everything you were looking for and couldn’t be better, except for one thing: the basement is unfinished. This may have been a bit of a bummer for you at first, but you and your partner talked yourselves into getting the house anyway since it was perfect in pretty much every other way. Now though, you’ve moved in and have settled down and the prospect of actually finishing your basement seems extremely daunting. You may even find yourself wondering if it’s worth the trouble at all. If this sounds familiar to you, we are here to tell you that it is definitely worth the trouble to finish your basement properly. In fact, finishing your basement can add immense value both to your life as well as the monitory estimates of your home. A finished basement means enjoying more livable space. In fact, the possibilities for use of a finished space are nearly endless. Do you love dancing, but don’t have the space in your own home? You could turn your unfinished basement into a dance studio. Do you find yourself staying at the office later than you’d like simply because you don’t have a good workspace in your home? Turn your unfinished basement into an in-home office. Or do you find yourself wishing your kids had a place to play and make a mess away from your living room? Turn your unfinished basement into a designated kid zone. Truly there is no end to what you can do with your extra finished space. 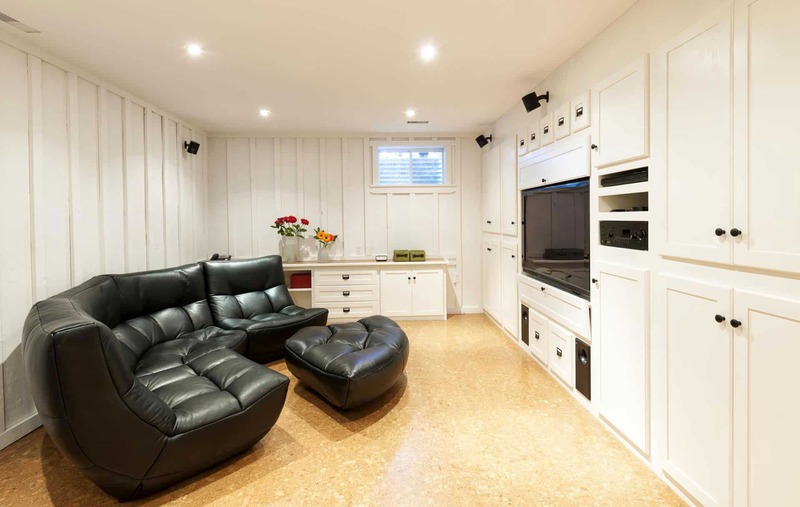 If you need help planning your dream basement, talk to one of our basement finishing contractors today. Apart from simply being a great way to add extra space to your home however, finishing your basement can actually increase the monetary value of your home. This is in part because should you ever decide to sell your home, potential buyers won’t have to worry about finishing it themselves as you now are, thus increasing the value of your home in-and-of itself. However, it is also true that finishing your basement can add anywhere between $60-$250 per square foot of finished space (depending on where you live and what square footage in your area is valued at). And while finished square footage below ground will usually only fetch half the price that square footage above ground is appraised at, it can still be of great value to invest in adding this extra space to your house if you think you might ever move onto a new home yourself one day. If you have yet to finish your unfinished basement, just remember that it can and will add value to your life and home and is a great investment into your life at present as well as in the future. Furthermore, actually getting started on your basement conversion doesn’t necessarily need to be hard. In fact, there are many basement finishing contractors out there who can help you to design and finish your basement so that it meets all of your needs, desires and dreams. If you live in Rhode Island or Southern Massachusetts, Residential Remodeling is a great option. Helping you to design, finish and decorate your basement, Residential Remodeling offers quality craftsmanship you can rely on, as well as friendly and reliable service. So, whether you’ve been considering finishing your basement for awhile, or have just bought your dream home and now finishing your basement is the last step on the road to a long and happy life, give Residential Remodeling a call or check out their website so they can help you get started on making all your basement dreams come true today. Ready to Start Your Dream Project? Get a Free Estimate! Residential Remodeling, based in Woonsocket, RI, is a full-service residential remodeling contractor committed to the highest level of trust, professionalism, and quality workmanship. Barrington, Bristol, Burrillville, Central Falls, Charlestown, Coventry, Cranston, Cumberland, East Greenwich, East Providence, Exeter, Foster, Glocester, Hopkinton, Jamestown, Johnston, Lincoln, Little Compton, Middletown, Newport, North Kingstown, Narragansett, North Providence, North Scituate, North Smithfield, Pawtucket, Portsmouth, Providence, Richmond, Scituate, Smithfield, South Kingstown, Tiverton, , Warren, Warwick, , West Greenwich, West Warwick, Woonsocket, and Westerly. © 2019 Residential Remodeling RI. Website Design by Company 50, a Rhode Island Website Builder.